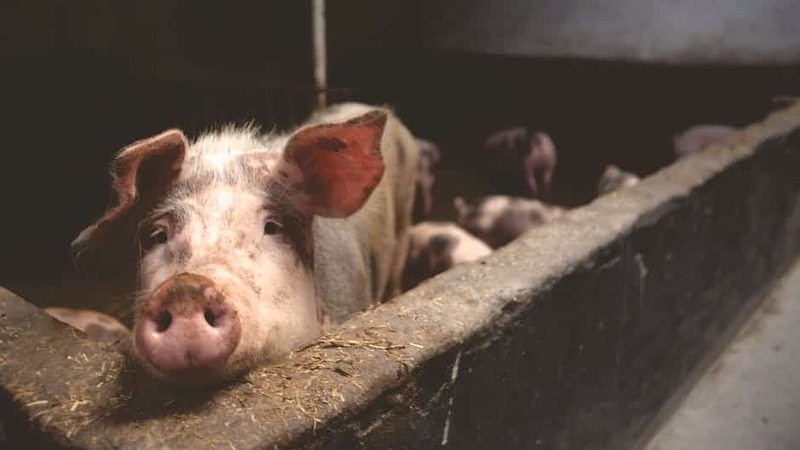 Just like Mary Shelley’s Frankenstein, scientists have brought back to life pigs’ brains – four hours after death. Circulation and cellular activity were restored using tubes that pumped a chemical solution replicating blood into the decapitated heads. Billions of neurons began acting normally. However it’s currently unclear if the technique would work on a recently deceased person, the US team said. But it opens the door to salvaging mental powers in stroke patients – and the development of new treatments that boost recovery of neurons after brain injury. The gruesome Frankenstein-style experiments open up a huge ethical debate. Senior author Professor Nenad Sestan has described the results as “mind-boggling” and “unexpected” but believed the technique could work on humans. His team obtained 32 pig brains from abattoirs and placed them in their system called BrainEx. It mimics pulsating blood flow – known medically as perfusion – at normal human body temperature of 37 degrees Celsius. Over six hours Prof Sestan and colleagues observed a reduction in the death of the brain cells. There was also revival of some cellular functions including the firing of synapses – vital connections between neurons that transport signals. The study suggests certain brain activities have the capacity to be restored at least partially – even a few hours after death. It challenges long-held assumptions about the timing and irreversible nature of death, say the researchers. There was no evidence of global network activity or full-brain function during the experiments. But many basic cellular workings – once thought to cease seconds or minutes after oxygen and blood flow stop – were observed, reports the journal Nature. But researchers in Prof Sestan’s lab who focus on brain development and evolution observed small tissue samples routinely showed signs of cellular viability. This was even when it was harvested many hours after death. Intrigued, they used the pigs’ brains to discover how widespread this is. They found neural cell integrity was preserved – and certain neurons, glial cells found in the central nervous system and blood vessel cells began working. The breakthrough will also shed light on the structure and function of the human brain – which is difficult to analyse. This hinders rigorous investigations into topics like the roots of brain disorders as well as neuronal connectivity in both healthy and abnormal conditions. Co-first author Stefano Daniele, a PhD candidate in Prof Sestan’s lab, said: “Previously we’ve only been able to study cells in the large mammalian brain under static or largely two-dimensional conditions utilising small tissue samples outside of their native environment. The chemical solution used lacks many of the components natively found in human blood – such as the immune system and other cells. Any future study involving human tissue or possible revival of global electrical activity in postmortem animal tissue should be done under strict ethical oversight, said the researchers. Co-author Professor Stephen Latham, director of Yale’s Interdisciplinary Centre for Bioethics, said: “Restoration of consciousness was never a goal of this research.